It is supposed by many that plants are helpless beings, which must submit to all sorts of unfavorable conditions which come upon them. This is far from true, for while plants as a rule are fixed and unable to escape from danger by flight, still they have very many ways of helping themselves. Prominent among the dangers which come to active green plants are those which arise from too intense light, which may destroy the delicate working substances. Since the leaves are the great working organs in the manufacture of food, they are especially equipped for protection. Those leaves which must work in exposed places have many details of structure which are evidently for guarding them against the ill effects of too intense light. The most striking adaptations, however are those which have to do with protective positions. Under ordinary circumstances, leaves are placed so that their flat faces are exposed to the most intense light. In some cases this is so great a danger that the leaves are set edgewise, the edges being directed upwards and downwards. When a plant assumes this habit, the leaves are said to be in a profile position, and the plants are sometimes called "compass plants." The latter name has come from the fact that such leaves usually point north or south, and once it was assumed that this position was in response to some mysterious magnetic influence. 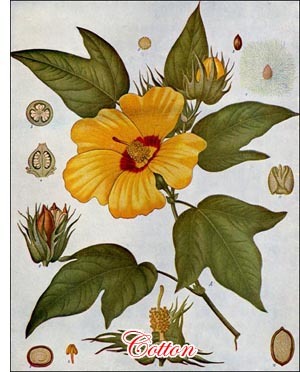 It is found, however, that it is merely an effort on the part of the plant to protect its leaves from the intense light of mid-day, and at the same time to expose them to the morning and evening rays of much less intensity.